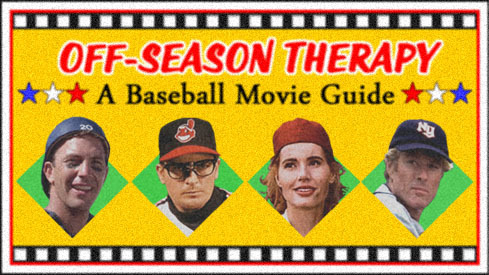 This baseball movie list was born of a Royals fan’s inability to let the 2014 season end. Watching meaningful and thrilling October baseball for the first time in my life was simply too thrilling to quit baseball cold turkey for the long, cold winter. Short of traveling to the Dominican Republic or Venezuela, my buddy and I decided baseball movies would be the methadone equivalent. We started by listing Kevin Costner baseball movies, then expanded from there. We made it through 19 movies last winter, including a back to back Bad News Bears afternoon. I won’t recommend the big baseball movies since we’ve all seen them, but some of my favorites were Sugar, Battered Bastards of Baseball, No No: A Dockumentary and The Bingo Long Traveling All-Stars and Motor Kings. If you’re a Shoalin Soccer fan, Deadball is a great option for laughs. Try “Can I Stream.It?” to search for viewing options on Netflix, Amazon, etc. Previous post: Would Mike Piazza Even Make the Major Leagues Today?